This is a very old guide and things have moved on a lot since this was written. 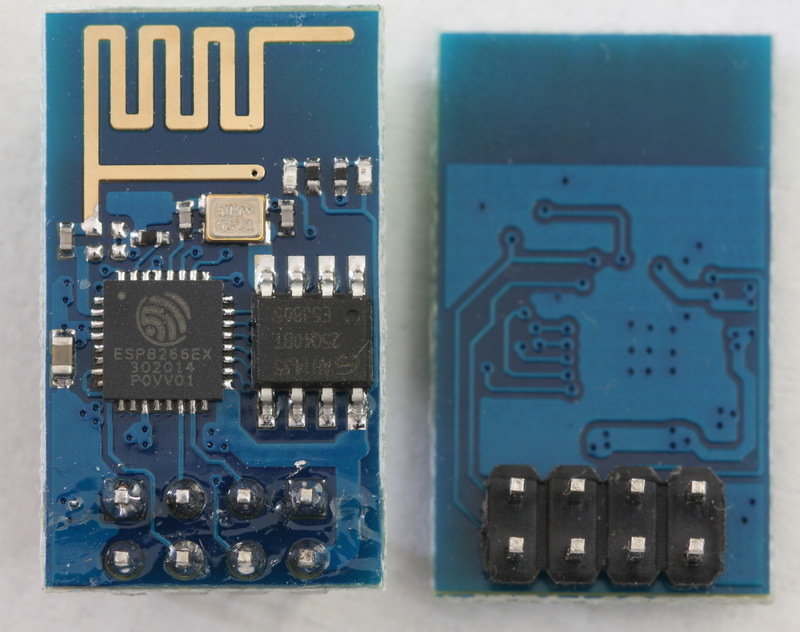 One of the main advances is the ESP8266 core for the Arduino IDE. This means the ESP8266 can now be programmed like an Arduino and this is how I use them now, no more messing around with AT commands. 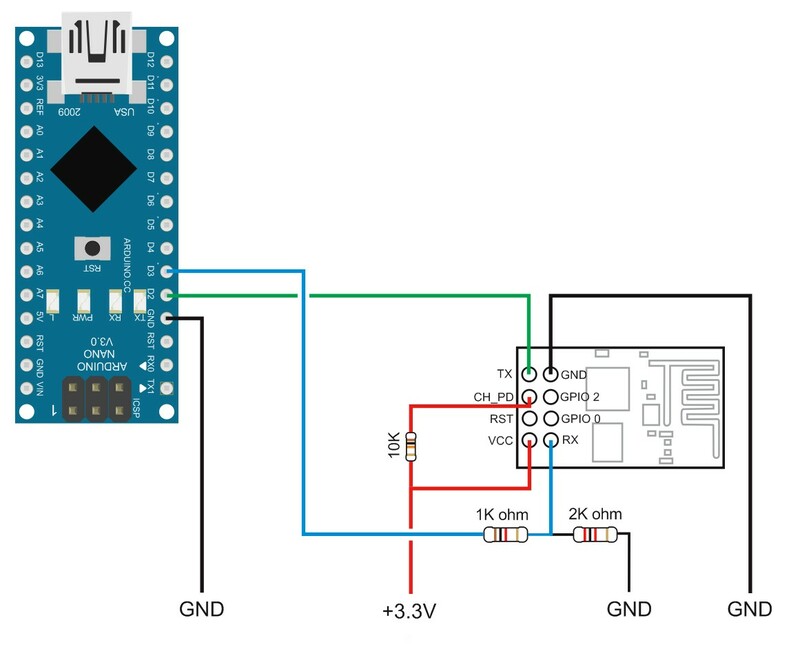 For a general overview and examples of using the ESP8266 with the Arduino core see ESP8266 and the Arduino IDE. 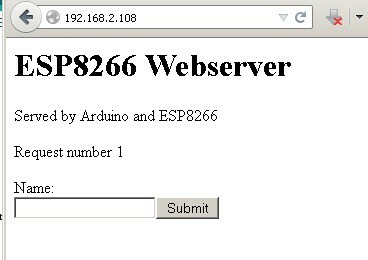 Here is my first attempt at a web server using the ESP8266. It includes a request count and also a text input field. 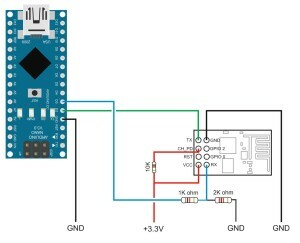 Following on from the FTDI + ESP8266 post, if you do not have a FTDI serial adaptor you can use an Arduino. 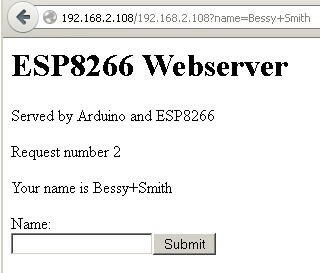 Here is how to set up the Arduino to talk to the ESP8266. Just started to play with the ESP8266-01 modules. Purchased from Taobao. These, I believe, are version 2 and have the LEDs near the antenna. When first started they identify themselves as [Vendor:www.ai-thinker.com Version:0.9.2.4] and are version 018000902-AI03. This is a custom firmware from ai-thinker. There seems to be quite a few different versions of similar modules. And the same module could have one of several firmwares.